Banks has had a good year. The 2017-18 Cowapa Leage basketball all-stars were announced last week and after sweeping both the girls and boys league titles and qualifying for this week's state tournament, needless to say, the Braves were well represented. In all, 11 Braves were honored, with seven of those being named to the first team. 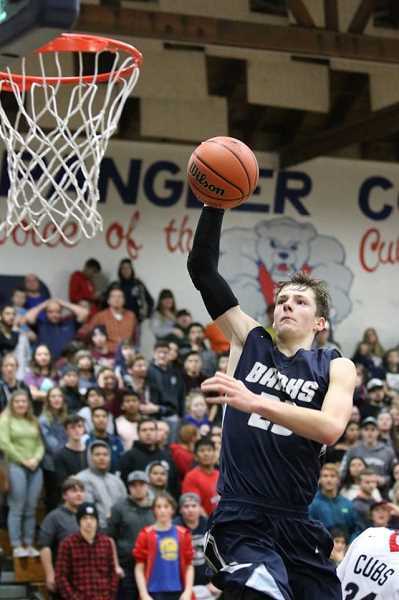 On the boys side, senior wing Dalton Renne was named the Cowapa League Player of the Year, while sophomore Blake Gobel was selected as the Defensive Player of the Year and head coach Marcus Roche was the Coach of the Year recipient. Joining Renne and Gobel on the first-team was sophomore forward Jacob Slifka, while senior Bret Cameron and junior Dakota Bunn were selected as honorable mention. The first team consisted of Renne, Gobel, Slifka, Tillamook senior Ian Collett, Seaside juniors Payton Westerholm and Chase Januik, Scappoose senior Chris Bendle, Valley Catholic senior Andrew Plambeck, Valley Catholic junior Jack Tetzloff, Astoria senior Karsten Johnson, Seaside sophomore Ryan Hague, Tillamook Senior Anthany Taylor, and Scappoose senior Joey Wagenknecht. For the girls, Banks junior Aspen Slifka was selected as the Co-Player of the Year with Valley Catholic senior Noelle Mannen, while Slifka was also honored as the Defensive Player of the Year and head coach Brandon Begley was voted Coach of the Year. Senior Kim Jordan joined Slifka on the first-team, along with junior Gracie Nelson and senior Jessi Wren. 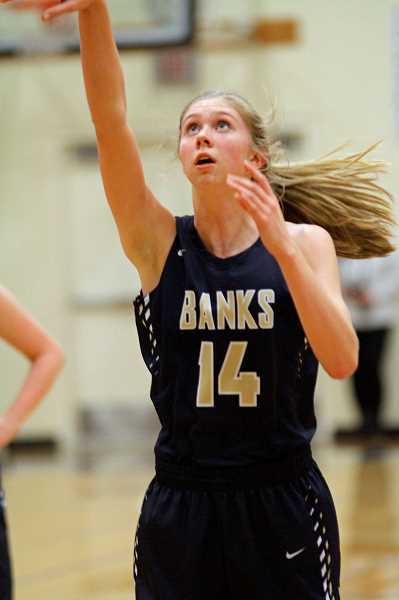 Other first-team recipients included Mannen, Seaside senior Bryre Babbitt, Scappoose senior Lea Brodala, Astoria sophomore Brooklynn Hankwitz, Astoria junior Sam Hemsley, Seaside senior Jetta Ideue, Valley Catholic junior Callie Kawaguchi, and Tillamook junior Laci Lourenzo. In addition, Banks senior Sydney Gregg and junior Rylie Kind were named honorable mention. Noelle Mannen, Sr., Valley C.
Sarah Jones, Jr., Valley C.